(Click for full size) After the successful 'birth' of Canada in 1867 as a new nation, the British felt they had found an effective model that they could apply elsewhere around the globe. The setup reduced costs by allowing the populations a degree of control of local affairs, but still gave the British authority of all major matters, including foreign affairs. It seemed like the perfect combination, and South Africa seemed like the perfect place to implement it next. At least once the independent nations already there were brought to submission. 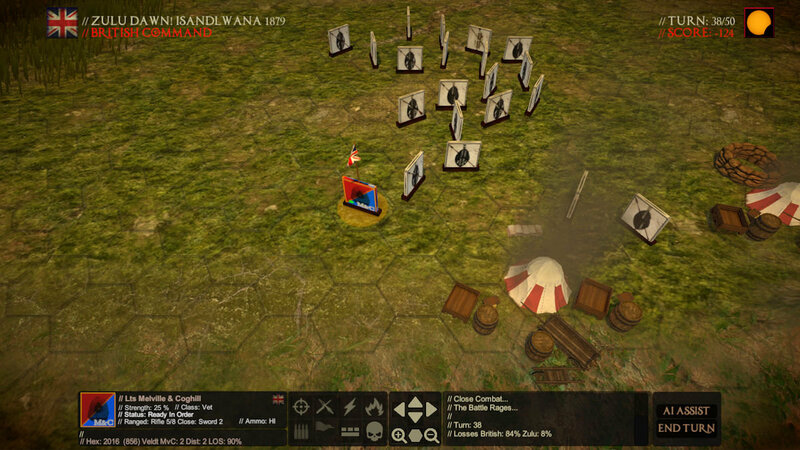 Like many battles, the seeds that would eventually bear bitter fruit for the British were born of overconfidence. 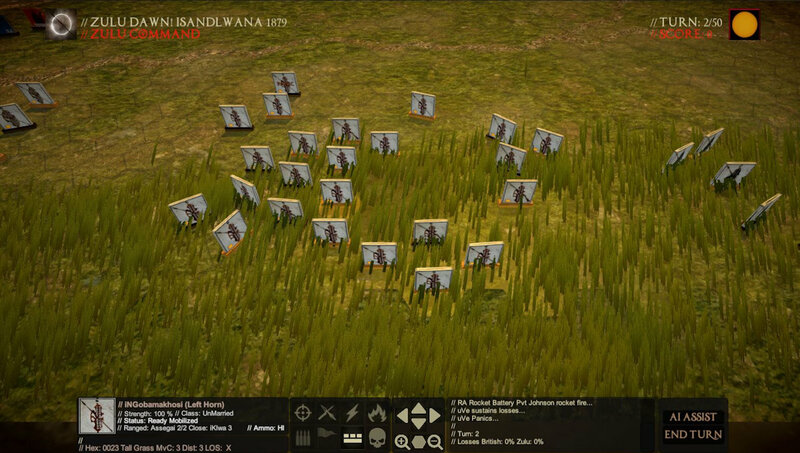 And the fruit would be bitter indeed; at Isandlwana the British suffered their worst defeat ever against an indigenous foe of vastly inferior technology and military standing. 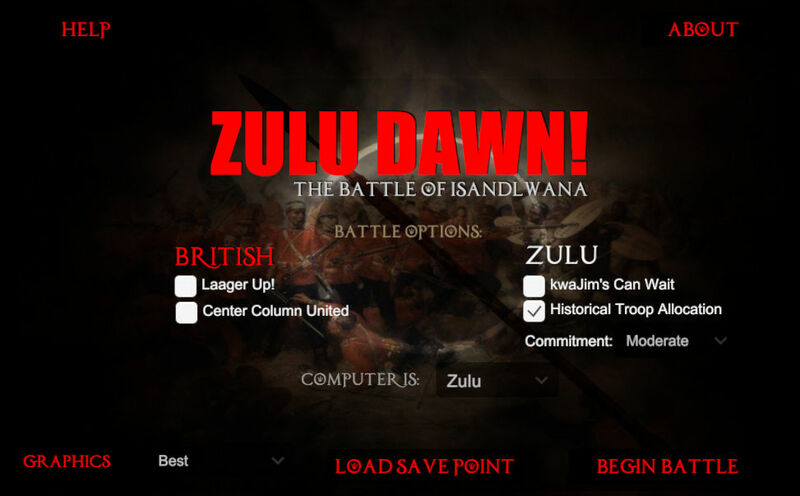 Ultimately the Zulus would have little time to savor the taste of victory before the British returned. 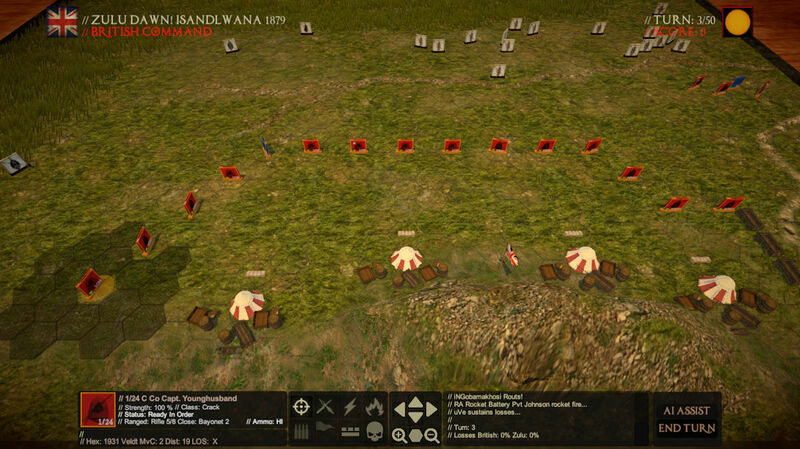 But in that moment of the shadow of the moon, history became a warrior. 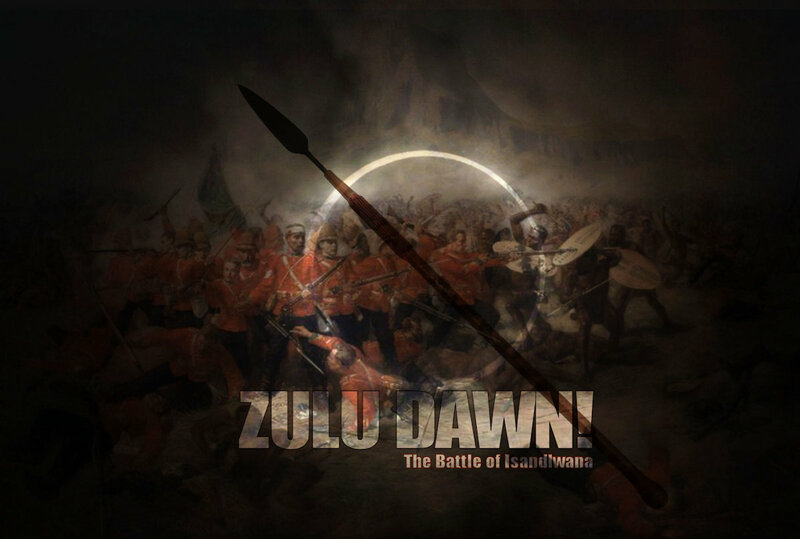 (Click for full size) In Zulu Dawn players assume command of either the British garrison, or the attacking Zulu forces. 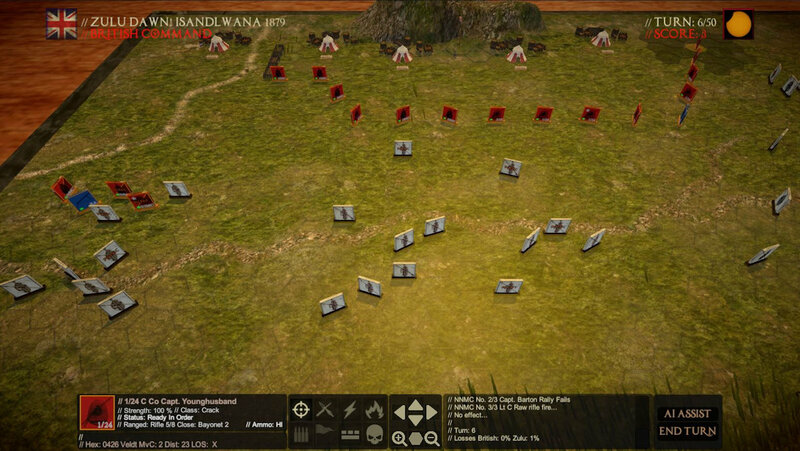 Even if the historical result may ultimately never be in doubt, as the British commander you will experience firsthand the deep desperation at how the Zulu force seems to grow out of the Earth itself. 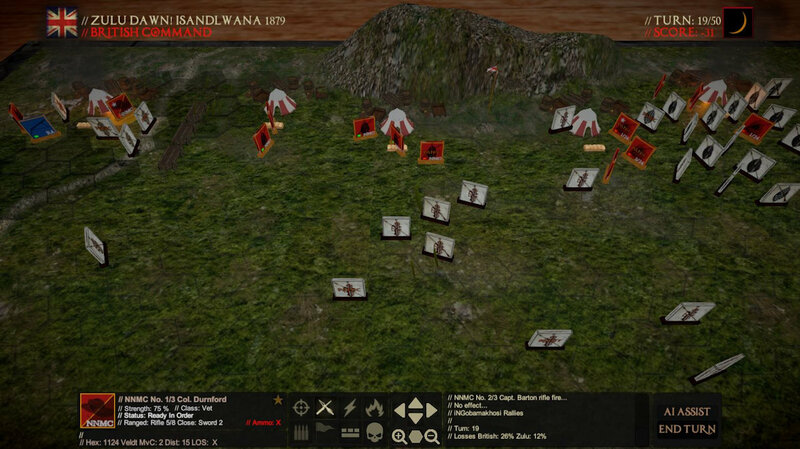 While, from the Zulu side, gaining the haughty standard flying over British camp requires that a hefty price be paid. 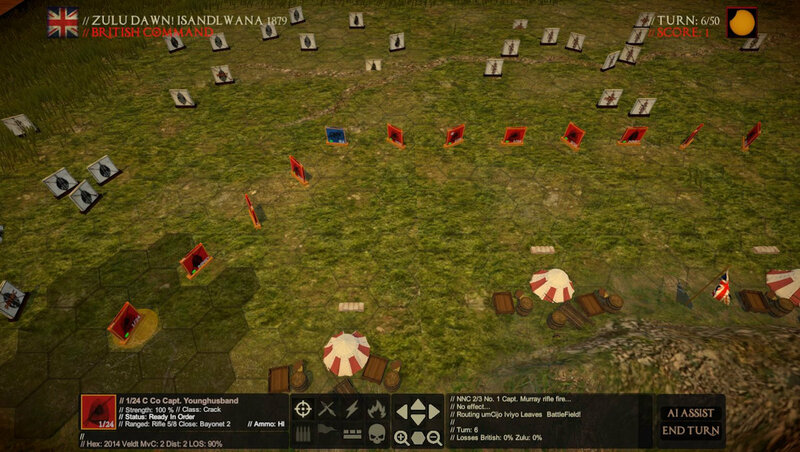 The game system is quick to learn and play, while the variable command system and scenario options insure that games are different each time. 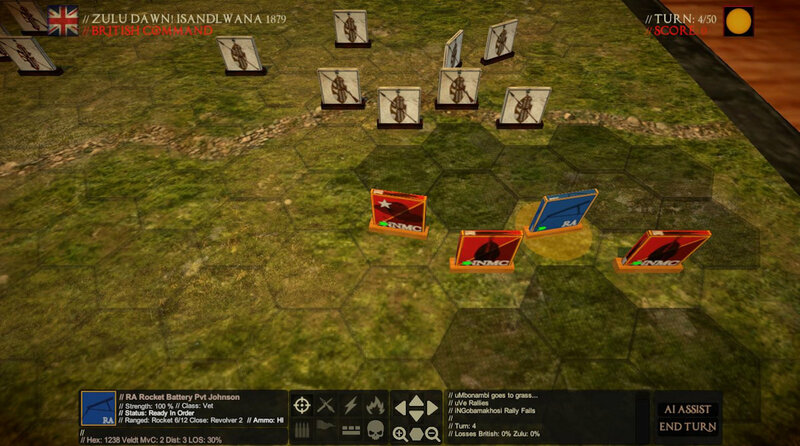 With the actual units and weapons of the era, Zulu Dawn adds 3-D graphics, sounds and special effects to bring players onto the veldt in the shadow of the mountain on that fateful day. and Even a Solar Eclipse!